Santorini is a special place that imbues the perfect balance of romance and gracious hospitality on one of the most sought-after Greek isles for couples celebrating a honeymoon. 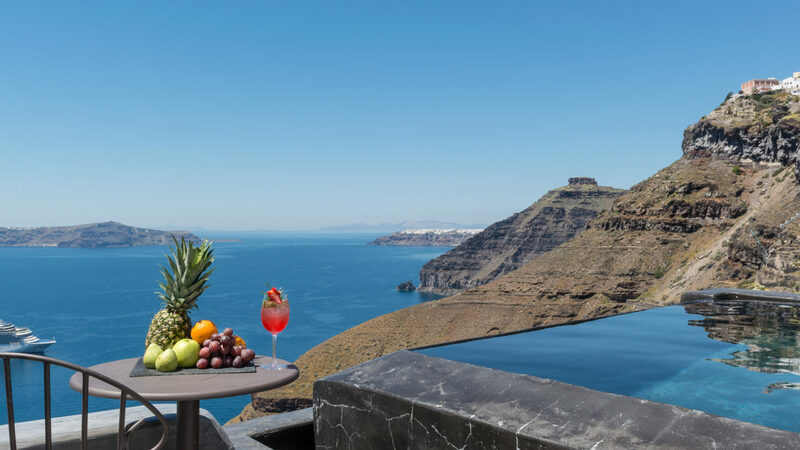 Perched along a cliff in the heart of Fira, Santorini's capital, Andronis Honeymoon, offers two different types of exclusive adults-only suites with mesmerizing views overlooking the deep blue Aegean Sea, Skaros, the old harbor and dramatic volcanic inlets. Whose privacy and seclusion is designed for couples celebrating their next steps of their life together. The Concierge is exceptional and well-connected to arrange any desire from a private helicopter tour over the island to indulging in rejuvenating spa treatments at the Mare Sanus Spa. For those looking to explore, Fira is steps away by foot. Bike along a scenic trail to the neighboring village of Oia or secluded beaches in the south. In the evening, reserve a table at Lycabettus, known as one of the most beautiful outdoor dining venues set on a peninsular cliff to witness the breathtaking sunset. Or savor an elegant dinner at Lauda boasting a spectacular backdrop of the Aegean Sea and the caldera. Every moment at Andronis Honeymoon is carefully tailored so couples can focus on the cherished moments together. The Absolute Suites and the Bliss Suites are spaciously designed in a setting of unparalleled beauty with mesmerizing views of the Aegean Sea, caldera and dramatic volcano. 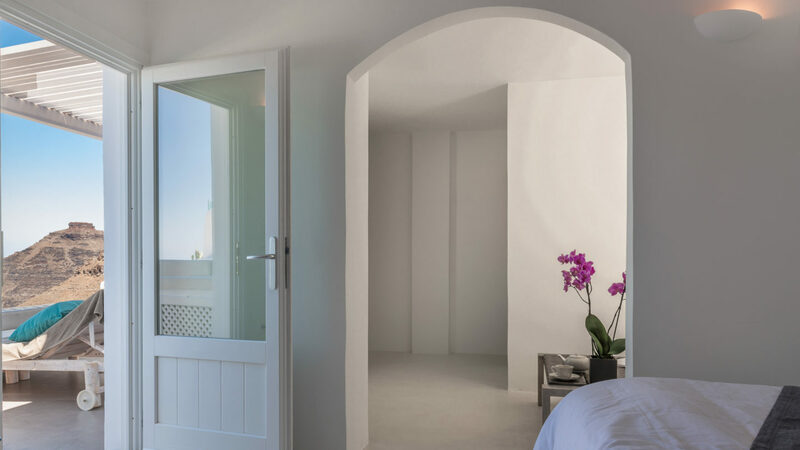 Boasting private balconies and outdoor Jacuzzi, each suite includes modern amenities set in a sleek contemporary décor built in a traditional Santorini-style white-stone. Set in the heart of Fira, Santorini's capital, Andronis Honeymoon is 10-minutes by car from Santorini Airport at 20-minutes by car to the port of Thiras.